Vacation home Diana is set in Baska, in the south-eastern part of Krk Island. The property is 500 metres from a 2 km-long beach and the city centre. Free internet access is available. 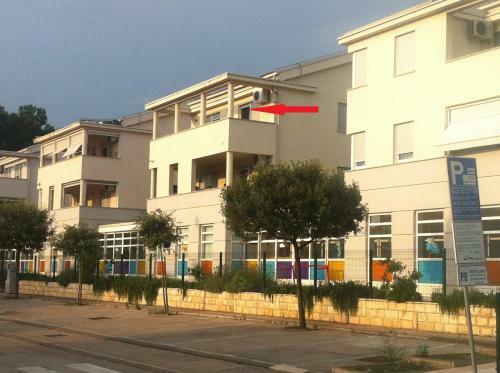 The air-cooled apartments at Diana Villa have a private balcony. Some of the terraces have view over Kvarner Cove. Each apartment has a dining area and a well fitted kitchenette, with refrigerator, coffee maker and all necessary utensils. In the living room, there are sofas and a coffee table. Satellite television is available in the living rooms or bedrooms. 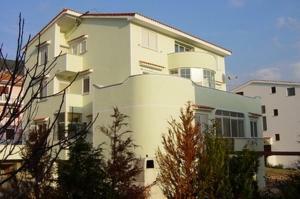 The property is 50 kilometers away from Rijeka Flight terminal and free car parking is available on site. Accommodation near the beach, 42 square meters, max 5 persons ~0,1 km, Baska Trendy apartment will provide all the things you need for your excellent holiday getaway. Visit the many historic and cultural sites and take memories from holidays as awesome souvenirs. Entertainment and Outdoor activities: TV, Satellite television. Distance to the restaurant: 500m. Distance to the beach: 500m. Apartments Unique Baška ~0.1 km, Baska Apartments One-of-a-kind Baška presents pet-friendly accommodation in Baška. The accommodation is air conditioned and presents a seating area. There is also a dining area and a kitchen equipped with an oven. Baška Bus Station is 500 metres from Apartments Unique Baška, while Vela Beach in Baška is 600 metres away. The closest flight terminal is Rijeka Airport, 31 km from Apartments Unique Baška. Beach Vela Plaza, Baska ~ 0,8 km from Villa Diana Sandy beach: ideal for families, recommended for young people, awarded with blue flag, with restaurant, with caffe bar, equipped with showers. Excellent choice of watersports. Beach Bunculuka, Baska ~ 2,2 km from Villa Diana Gravel beach: recommended for young people, with restaurant, with caffe bar. Nudism is allowed. Beach Vela Luka ~ 4,3 km from Villa Diana Sandy beach: with caffe bar. Beach Stara Baska ~ 5,3 km from Villa Diana Gravel beach: ideal for families, recommended for young people. Excellent choice of watersports. Beach Oprna ~ 6,8 km from Villa Diana Gravel beach. Restaurant Caffe Bar Plaza, Baska ~ 1 km from Villa Diana Address: Ulica Emila Geistlicha, 53, 51523, Baska. Cuisine: Bar. Restaurant Mare, Baska Guest reviews: 8/10 ~ 0,5 km from Villa Diana Address: E. Geistlicha 3, Baska. Cuisine: Mediterranean cuisine, Croatian cuisine. Restaurant Bistro Kvarner, Baska ~ 0,5 km from Villa Diana Address: Emila Geisliha 42, 51523, Baska. Restaurant Boneta Bistro & Lounge, Baska ~ 0,5 km from Villa Diana Address: Emila Geistlicha 39, Baska. Cuisine: Seafood. Restaurant Bistrot Baska, Baska ~ 0,5 km from Villa Diana Address: Ulica Emil Geistlicha 2, Baska. Cuisine: Seafood, Croatian cuisine.